Our food is made by the NomNomNow kitchen team, who work hard every week to prepare and package your dog's fresh food. Every one of our kitchen team members has a State of California issued Food Safety Certificate, and is educated in food safety and quality control for human consumption. 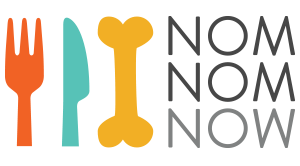 From receipt of ingredients through cooking through packing through handoff to our delivery partner, our NomNomNow kitchen team adheres to strict quality control procedures, to ensures your dog receives nothing but the best. We do not use co-packers, as we insist on being fully involved in every step of the process to ensure our product is of the highest quality possible. We also 100% control and own the state-of-the-art kitchen in which we prepare your dog's food!